The Film Independent Spirit Awards are given out the day before the Oscars and they celebrate the Best of independent cinema. Aubrey Plaza hosted this year and brought a wild comic energy to the event. The awards show opened with a gory Suspiria-esque opening that featured cameos from Christina Ricci, Roseanna Arquette, Sharon Stone, Marissa Tomei, and Marcia Gay Harden who melted her Oscar down to make a golden dagger. Brian Tyree Henry also appeared because he's apparently in all the funniest awards season moments this year. Check it out below if you dare. Plaza began her opening monologue by saying, "I can not believe they let me do that." She also referred to the nominees as "the movies too important to see." She went on to say, "The first choice to host was noone but they're already booked for tomorrow," taking a shot at the hostless Oscars. She also noted 60% of the directing nominees were women. Richard E. Grant won Best Supporting Male for Can You Ever Forgive Me? He gave a touching and gracious speech about how the film was an homage to the genration of men wiped out by AIDS, including Chariots of Fire actor Ian Charleson who inspired his performance. Even though he didn't win, it was nice to see Josh Hamilton nominated for Eighth Grade. ﻿Bo Burnham won Best First Screenplay for Eighth Grade. He thanked Elsie Fisher and he thanked the film community for embracing him. ﻿The John Cassavetes Award went to En el Séptimo Dia (On the Seventh Day). This award goes to films that are made for less than $500,000. In her acceptance speech, producer Lindsey Cordero described the movie as a community film that included the participation of churches, soccer teams, and business owners. She spoke about "the immigrant community that deserves to see their stories and their struggles and the beauty of their life on the big screen more and more." Kiki Lane introduced If Beale Street Could Talk. She quotied a letter James Baldwin wrote to his nephew: "If we had not loved each other, none of us would have survived. And now you must survive because we love you." The Bonnie Award is named after Bonnie Tiburzi, the first woman to pilot a plane for American Airlines. She was the first female pilot for a commercial airline. This year's recipient of the Bonnie award was Debra Granik, the director of Winter's Bone and Leave No Trace. Roma won Best International Film. Minding the Gap won th Truer Than Fiction award. The documentary follows twelve years in the lives of a group of skateboarders. It was also nominated for an Oscar. It is available to watch on Hulu. Joe Bini won Best Editing for You Were Never Really Here, a dark thriller starring Joaquin Phoenix. Carrie Mulligan introduced the Best First Feature award saying, "Part of what makes the Spirit Awards so powerful is that This show doesn't jump on bandwagons. It starts them." She then referred to Spike Lee, Patty Jenkins, and Ryan Coogler as examples. This year, Boots Riley was added to that list for his debut film Sorry To Bother You. Riley gave a powerful speech about how diversity happening in film is because of movements happening out in the streets. He said now is the time to make films about things we used to think we had to edit out (like how his film is about class struggle in the office place). The Robert Altman Award went to the cast of Suspiria. They spoke about the film being a metaphor for female power. Drag queen Shangela performed a humorous medley about the Best Feature nominees. Regina King won Best Suporting Female for If Beale Street Could Talk. It was her first nomination and win. Can You Ever Forgive Me? won Best Screenplay. Barry Jenkins won Best Director. He referenced Regina King's Golden Globes speech and thanked all the women who made Beale Street what it was. Shrihari Sathe won the Producers Award. Ethan Hawke won Best Male Lead for First Reformed. Co-star Amanda Seyfried accepted on his behalf. Glenn Close won Best Female Lead for The Wife. She brought her adorable dog Pippi up on stage with her. It was her first win. 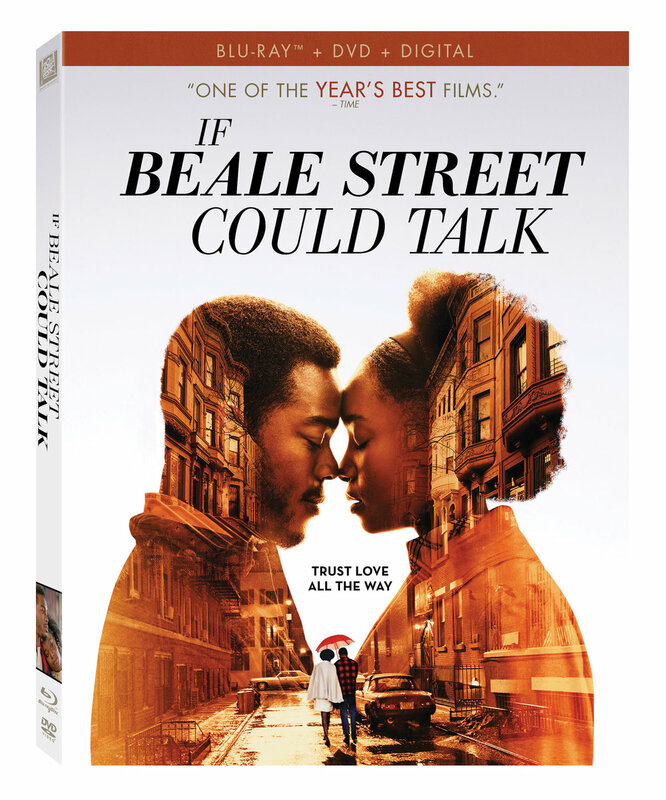 If Beale Street Could Talk won Best Feature. The same team won for Moonlight. Barry Jenkins took a risk and wrote the screenplay before he knew if James Baldwin's estate would grant him the rights to the novel. I’ve watched the Spirit Awards for years and Aubrey Plaza is probably my favorite host ever. She even mocked the segues to the commercials by doing outrageous voiceovers. The only way they might top it is if Brian Tyree Henry and Melissa McCarthy host next year. Aside from the host, it was nice to see a lot of love spread around to different films. This was the panacea that was not to be at the Oscars: Glen Close won, a black man took home Best Director, and the best picture was an empowering film about the black experience. To stay informed of the latest awards bait for next year’s award shows, subscribe to the newsletter and follow the Etched in Gold Facebook page (www.facebook.com/EtchedinGold/). I’ll be dropping a post soon with a preview of the major Oscar buzz-worthy films of 2019 and 2020. You won’t want to miss it.